If readers consider XDA’s coverage of Samsung’s budget and lower mid-range phones in 2018, a clear picture will emerge. 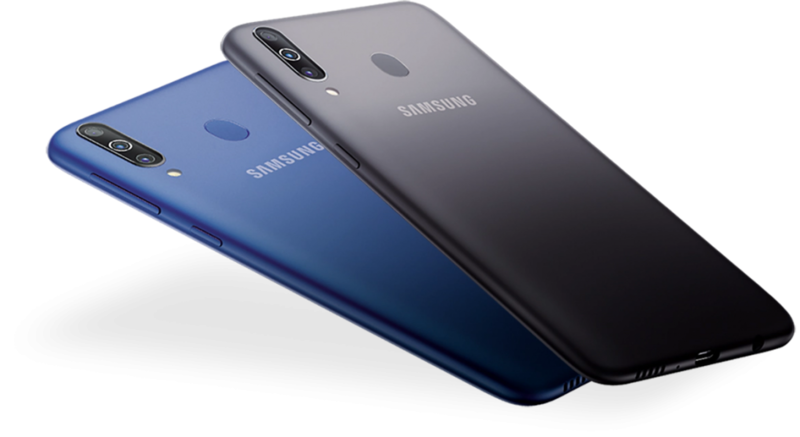 Samsung’s budget Galaxy J series, the online-only Galaxy On series (which were re-branded Galaxy J series phones), and the mid-range Galaxy A series all suffered from weak specifications and weak corresponding value propositions. Samsung’s phones were consistently outclassed by the likes of Xiaomi, Asus, Honor, Realme, and others. After years of enjoying a dominant position at the top of the Indian smartphone market, Samsung found itself overtaken by Xiaomi in 2017, and the company has not been able to take back the pole position since. In this way, the new Galaxy M series represents a reboot of sorts for Samsung’s budget and lower mid-range lineup, and the charge was led by the launch of the Galaxy M10 and Galaxy M20 last month. Samsung adopted the flash sales model with the Galaxy M10 and M20. The top-end phone of the Galaxy M series, the Samsung Galaxy M30, has now been launched after more than a month in the rumors. 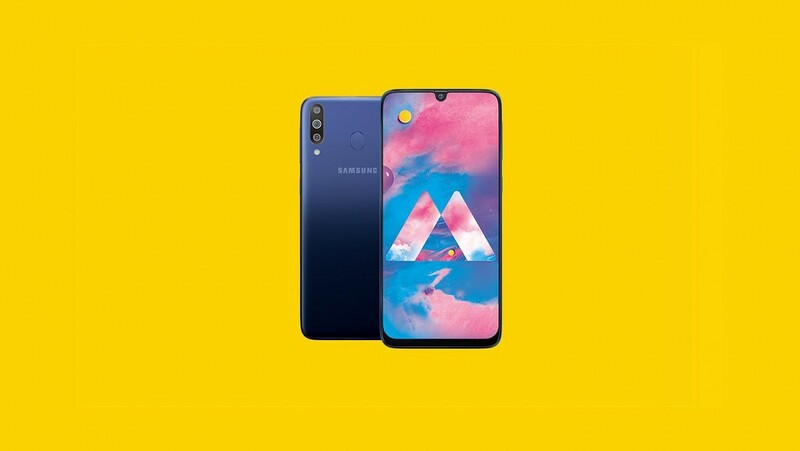 It slots in above the Galaxy M20 and below the Galaxy A30 (which is due to launch in India alongside the Galaxy A50 tomorrow). Samsung has positioned the phone by giving it some high-end features, such as a triple rear camera setup and a Super AMOLED Infinity U (waterdrop notch) display. The specifications of the phone are noted below. The Galaxy M30 features a gradient plastic construction. The trend in late 2018/2019 for device makers in the lower mid-range segment has been to abandon metal construction and either go back to plastic or achieve a metal frame and glass back design. The Honor 8X, for example, features a glass back, and so does the Chinese Redmi Note 7. The Galaxy M30’s plastic seems fine from a usability perspective, though, as it has a matte finish. 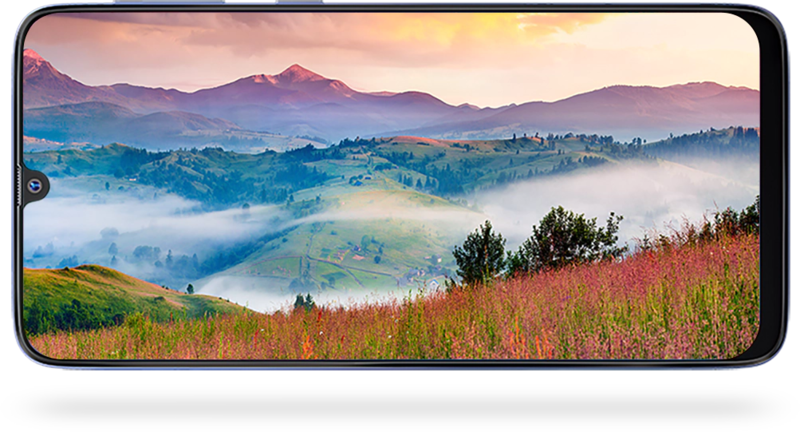 In terms of design, the Galaxy M30 features a waterdrop notch display on the front with minimal bezels. Samsung’s term for the waterdrop notch is the “Infinity-U” display. The triple rear cameras are vertically placed at the top left, and the fingerprint sensor is placed at the center on the back of the phone. Relative to the Galaxy M20, the Galaxy M30 features upgrades in three areas: display type, RAM and storage configurations, and the presence of a depth sensor as the tertiary rear camera. Of these, the display type is the most important. The Galaxy M20 features a 6.3-inch Full HD+ IPS LCD, while the Galaxy M30 features a 6.38-inch Full HD+ (2340×1080) Super AMOLED display with 19.5:9 aspect ratio. The display type is a notable differentiating factor against competitors in this price range, which mostly have IPS LCDs (with the exception of the OPPO K1). The phone also features Widevine L1 certification, which is a prerequisite for HD video streaming in popular video-on-demand apps. The Samsung Galaxy M30 comes in two variants: 4GB of RAM with 64GB storage, and 6GB of RAM with 128GB storage. The RAM and storage configurations are competitive with the best phones in this price range, signifying that Samsung is willing to regain lost market share by providing features that would have not been provided in the past. The SoC choice is disappointing, however. The phone is powered by the Exynos 7904, the same SoC that powers the Galaxy M20. The Exynos 7904 is a 14nm SoC which competes with the Qualcomm Snapdragon 636 in terms of CPU performance. Its GPU performance is disappointing, especially in this price range. As a package, the Exynos 7904 falls behind higher-end SoCs such as the Qualcomm Snapdragon 660 and the MediaTek Helio P70 in both CPU and GPU performance. Snapdragon 660-powered phones are now available for cheaper prices as well. The Galaxy M30 features triple rear cameras, making it the cheapest Samsung phone to have such a rear camera setup. The primary camera is a standard 13MP sensor with f/1.9 aperture, while the 5MP ultra wide angle sensor has a 123-degree FOV. The tertiary camera is a 5MP depth sensor which enables Samsung’s Live Focus mode for the bokeh effect. On the front, the Galaxy M30 features a 16MP camera with f/2.0 aperture. The Samsung Galaxy M30’s base 4GB RAM/64GB storage variant costs ₹14,990 ($210), while the high-end 6GB RAM/128GB storage variant costs ₹17,990 ($252). The phone will go on sale exclusively via Amazon and the Samsung’s e-shop, and the first sale will be held at 12PM on March 7. The Galaxy M30 enters a crowded segment of lower mid-range phones, which will soon be populated by the Indian Redmi Note 7 and Redmi Note 7 Pro, and the Realme 3. The list of competitors also includes the Asus ZenFone Max Pro M2 and the OPPO K1. What are your thoughts regarding Samsung’s top-end Galaxy M series phone? Do you think it can compete with the Indian Redmi Note 7 phones? Let us know in the comments below.